Long time, no photoessay! I could be wrong, but I think that the Friday PhotoEssays (and hopefully other posts too) are back for the remainder of the summer! Let’s get all caught up on what’s been happening. 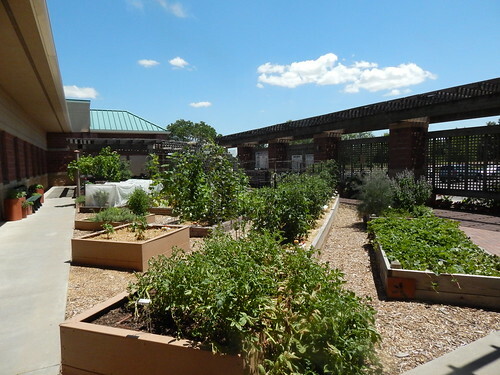 As you can see, most of the garden seems to be growing well. We had a little bit of a hiccup last week and over the weekend with the irrigation system being down due to a problem elsewhere on the grounds. Bad timing! Everything looks a little bit scorched from that experience. It’s hard to catch up with watering when things get too dry. 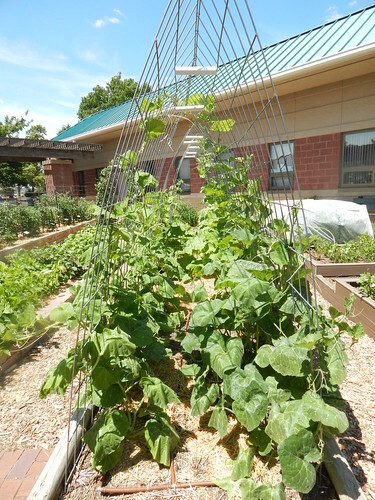 The squash in the vertical garden are looking good overall. 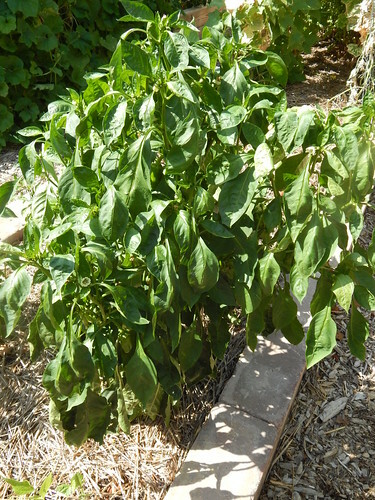 I saw some wilting in the heat of the afternoon yesterday, but I think it is just the hot and dry. I checked several of the plants for signs of squash vine borer and didn’t see anything. I also checked the soil, which seemed dry. I turned the water on! It’s nice when the solution to wilting is easy and not a pest. I read an article just this morning that said that squash vine borers prefer Cucurbita sp. with large hollow stems over smaller, solid stems. 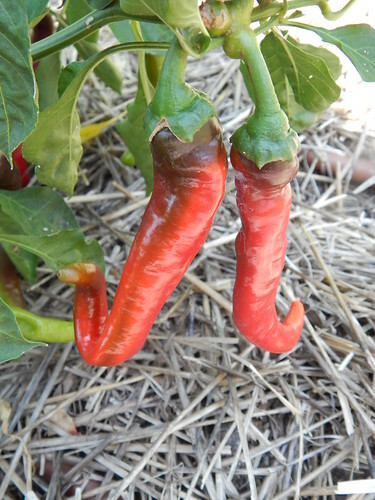 That probably accounts for at least some of the purported resistance of these varieties. 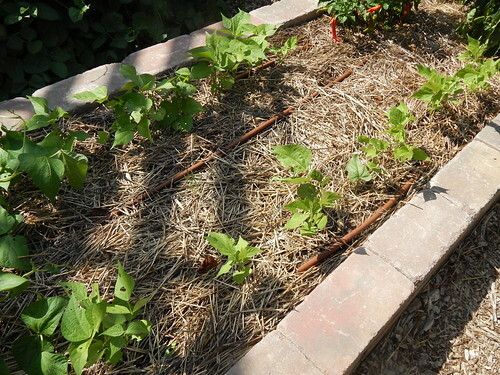 Only a couple of the varieties are starting to flower and set fruit yet, so when they progress further I will do a closer look at this garden bed. I’m a little surprised that the plants aren’t larger, but it is probably mostly weather. They might want a little more nitrogen too, given all the rain. 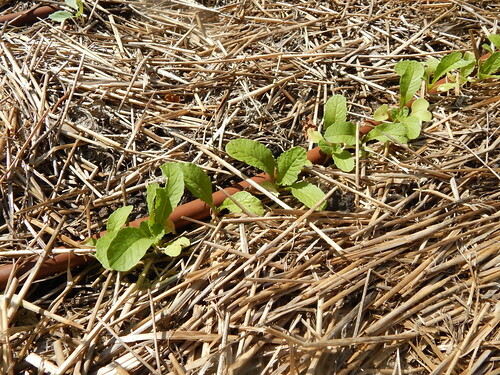 This is the parthenocarpic squash (don’t need pollination to set fruit) under the row cover set up. This picture is from about 2 weeks ago. It’s been a little tricky keeping everything sealed around the edges with the wind. But…it’s better than nothing! I should go take another picture of this today to show you, but it’s hot outside! 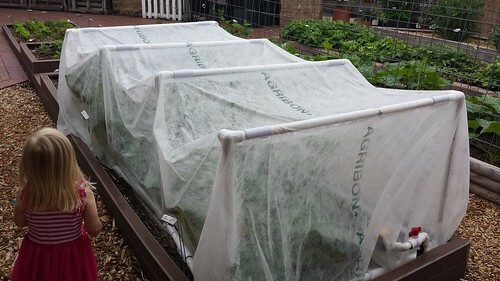 The plants are now so big that they are pushing out on the row cover fabric, and there are flowers and fruit setting under the row cover. I’ll hopefully take a closer look next week. 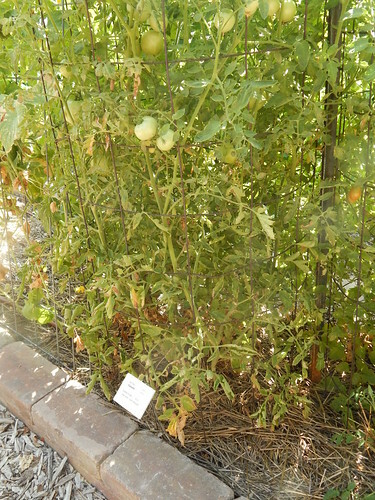 Most of the tomato plants do have fruit set on them, and there are some really interesting differences in the sizes of the plants. I’ll plan to do a more in depth look next week or the week after. 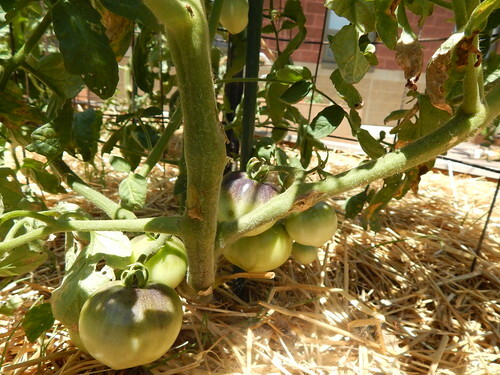 This is the ‘Indigo Apple’ tomato plant, which is a variety with purple coloration. The shoulders are already starting to show the coloring on these tomatoes. We often have one of the red/purple basils somewhere in the garden, but most years they either get washed out or turn green. Apparently the key is to plant it in a shadier location! 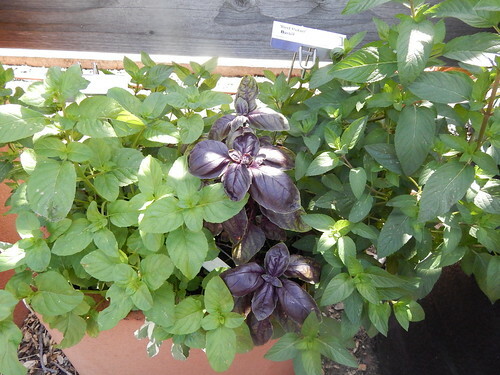 This ‘Red Rubin’ basil is under the lattice area where it gets more shade and the color is great! Of course, it isn’t very big either, but it seems like a fair trade for the color. 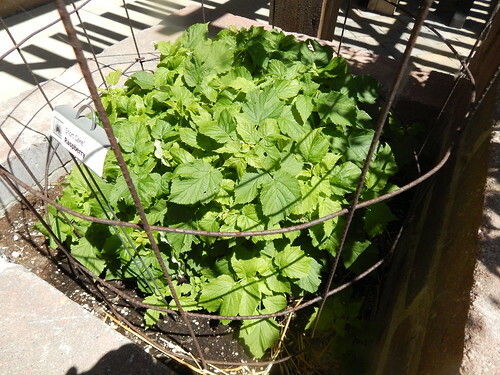 It’s in a tomato cage, but it’s not a tomato! 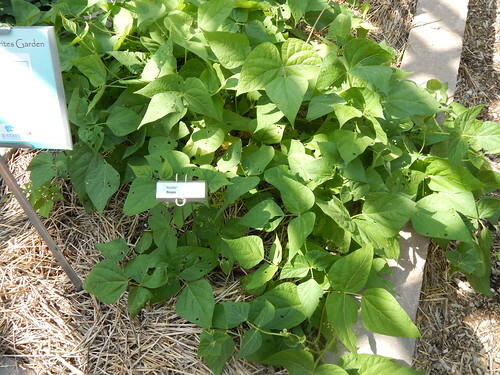 This is a dwarf, container-type raspberry. It doesn’t look like it is producing anything this year because it died back to the roots over the winter. It is staying nice and compact though. I don’t know that it will every need the cage! The beans are all looking good and seem to be producing well, after they had a bit of a rough start. 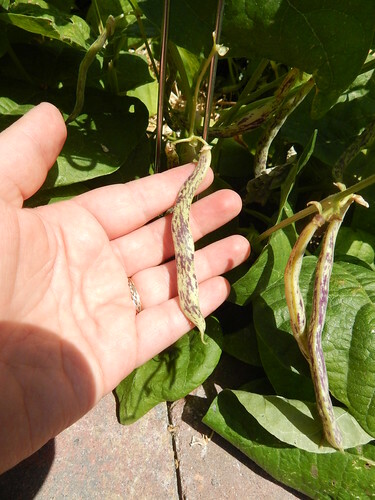 This is the ‘Dragon Tongue’ bean that has purple stripes/splotches. 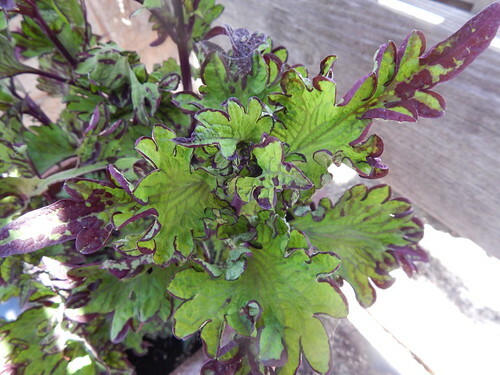 We’ll finish up for this week with this cool looking coleus. It’s name is ‘Rodeo Drive’ and I suppose it does look a little bit like a crazy bull, but I just think it looks cool. In amongst all of the crazy things that we have planned for some of the other gardens, this one may be the island of sanity. 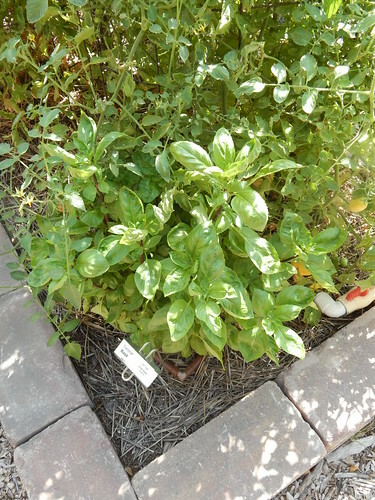 We wanted to feature some vegetables that are favorites of our Master Gardeners, so we took nominations and chose our varieties from there. 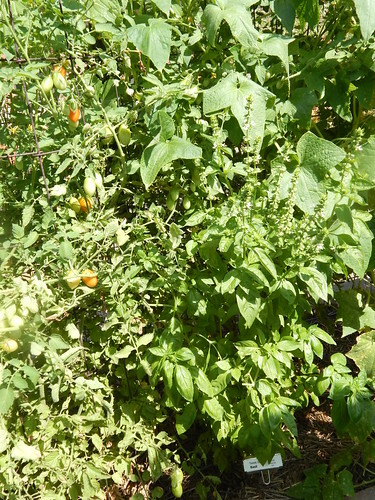 We wanted to chose varieties that are common and widely available to the average gardener as well. Preheat oven to 350˚F (175˚C). Line a baking sheet with aluminum foil. 2. Place naan breads on the prepared baking sheet; brush each naan with olive oil. onto each naan; top with tomato slices. Season tomatoes with salt and pepper. Top tomato layers with prosciutto, basil, and Parmesan cheese. bubbling, about 2 minutes. Refrigerate leftovers immediately.